My best friend, Kimberly asked for my help to guide to her place which she need to find at Paradigm Mall...After that, we tired and like to eat the Thai Restaurant! 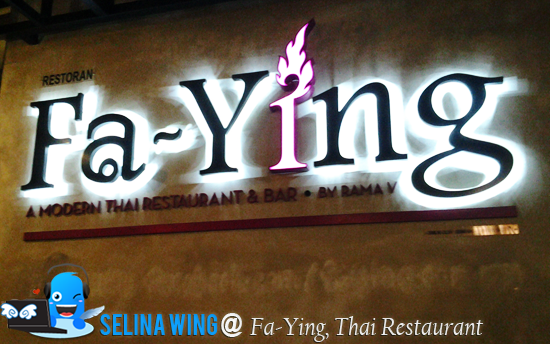 We found out that a new restaurant named "Fa-Ying" are located at outside Paradigm Mall! 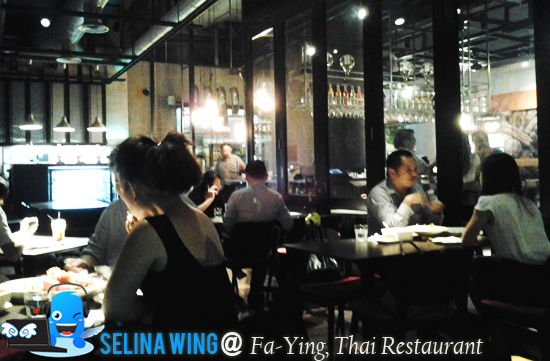 "Fa-Ying" resemble the playful sister of Rama V, the revered Thai King who was credited to the modernization of Siam. 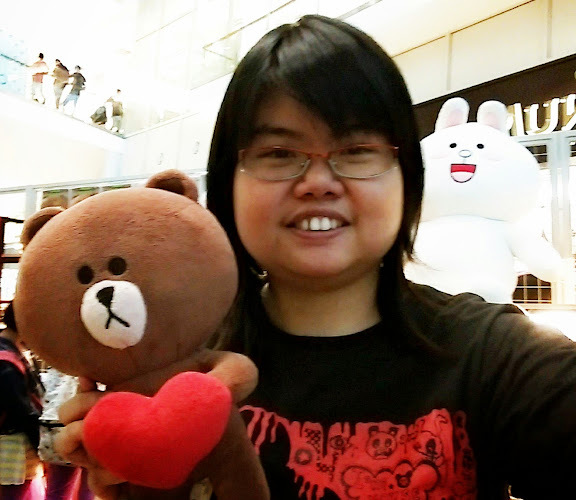 My best friend attracted from it! She took this Thai art photo! We are princess can be welcome by "Fa-Ying", but my best friend already be MOM! Haha. Inside the restaurant, I felt it is dark but it is suitable for the romantic couple or the concept of bar & pub.My best friend and I discussed about which is one best delicious food. We better to share our food, and just choose the simple drink, Cham Tea only. 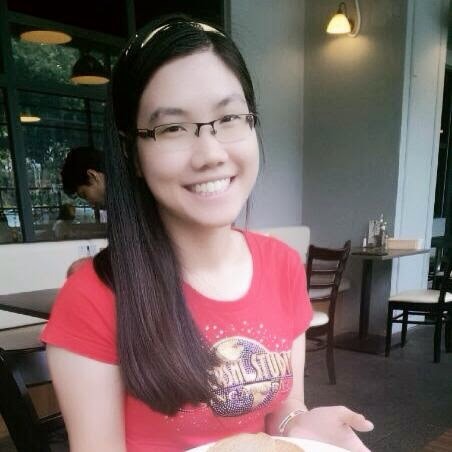 She asked a boss of his restaurant to suggest one dish which can make two persons can finish together! He suggested that the people's favorite main dish are the Roast Duck Sandwich. It was simple yet delicious, and easy to bite it! She love the spaghetti so we can finish it so quickly! 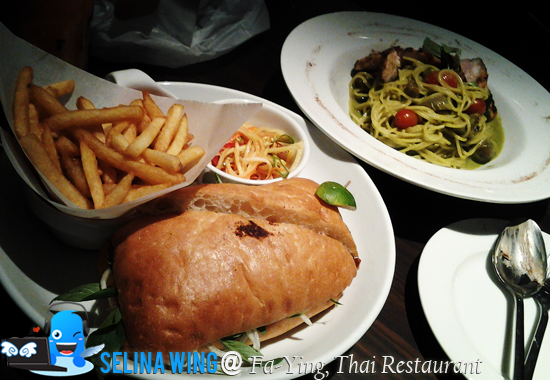 We enjoyed to chat while we eat the sandwich so slowly~ It is not spicy food at all! It is not bad! 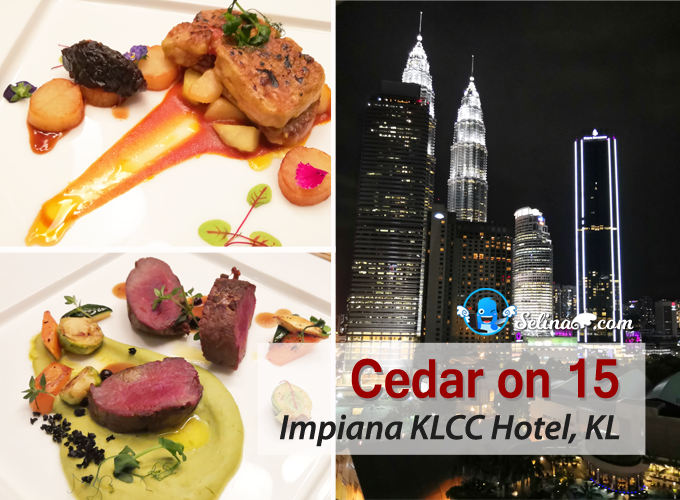 Very delicious, worth reasonable price for the 2 persons are sharing one or two dishes, be enough!